NASHVILLE (Jan. 12, 2016) – Cracker Barrel Old Country Store® and country music duo Joey+Rory announced yesterday that a deluxe package of the upcoming Hymns That Are Important To Us CD will be available for preorder exclusively at crackerbarrel.com this Friday, Jan. 15 and at all Cracker Barrel® locations on Friday, Feb. 12. 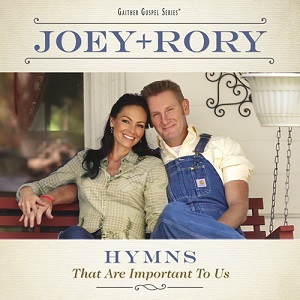 In addition to the duo’s seventh studio album, the deluxe CD package includes never-before-seen photos of Joey+Rory and their family, a magnet, lyrics, excerpts and stories from Rory’s blog, “This Life I Live,” and a closer look into the couple’s journey creating this album together. Cracker Barrel Old Country Store® will donate $1.00 of the retail sales price of each deluxe CD package sold while supplies last to the Loeys-Dietz Syndrome Foundation, a nonprofit supported by the musical duo. Since 2005, Cracker Barrel has released albums with a wide variety of artists, some of which have debuted in top spots on a range of Billboard’s charts. Recent partnerships include the brand’s first pop albums with a cappella group Pentatonix and “Fight Song” singer Rachel Platten, as well as industry staples Michael W. Smith and Alabama. Cracker Barrel’s music program presents a unique opportunity for the company to connect with consumers through an array of musical genres and artists, providing not only the music, but also unique experiences, such as Pentatonix’s surprise performance at a Nashville-area Cracker Barrel last November. The Loeys-Dietz Syndrome Foundation is a 501(c)3 nonprofit organization that is dedicated to the education, research and support of those affected by the genetic disorder that affects the connective tissue in the body. 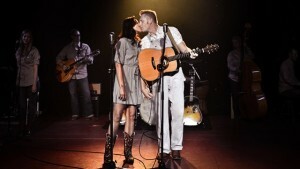 The nonprofit has special meaning to Joey and Rory, whose daughter’s best friend has the disorder. Joey+Rory, a country music duo featuring husband-and-wife vocalists Rory Feek and Joey Martin Feek, spent years focusing on their individual careers; but they both realized they were stronger together which laid the groundwork for a collaborative songwriting and performing career. The new formation resulted in their debut on the CMT competition show “Can You Duet” in 2008 placing third; releasing their debut album, The Life of a Song; and winning the 2010 Academy of Country Music Award for Top New Vocal Duo. The couple has been nominated for a 2016 GRAMMY® Award for their version of “If I Needed You” (Country Classics) for Best Country Duo/Group Performance.